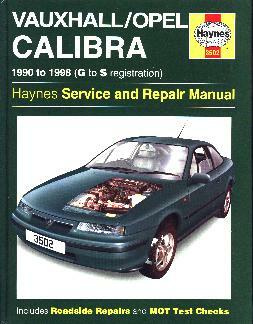 The Calibra covered by this manual was first introduced to the UK market in June 1990. The engine and other mechanical components are based on the Cavalier, but the bodywork has been redesigned for improved aerodynamics with a drag coefficient of only 0.26, lower than any other production four-seater in the world when it was introduced. This manual covers models with non-turbo petrol engines and front-wheel-drive. Turbo and four-wheel drive is available on certain other models. The 2.0 litre C20NE single overhead camshaft (SOHC) engine with Motronic M1.5 injection/ignition. The 2.0 litre C20XE double overhead camshaft (DOHC) engine with Motronic 2.5 or 2.8 injection/ignition. This was produced until 1995 and then discontinued. The 2.0 litre X20XEV (DOHC) engine, introduced in 1994 as a replacement for the C20XE. This engine is the 'ECOTEC' type, designed to meet strict EEC exhaust gas limits for 1996 and has Simtec injection/ignition. All the engines are of well-proven design and, provided regular maintenance is carried out, are unlikely to give trouble. The body styles are all Coupe, and the DTM model introduced in 1995 is fitted with a rear spoiler and a lowered sports suspension. Five-speed manual transmission is available on all models, and four-speed automatic transmission is available as an option on C20NE and X20XEV models. A wide range of standard and optional equipment is available within the Calibra range to suit most tastes. Safety features include a full-size drivers airbag from 1993, and a passenger airbag from 1994. Anti-lock braking is fitted as standard to all models. 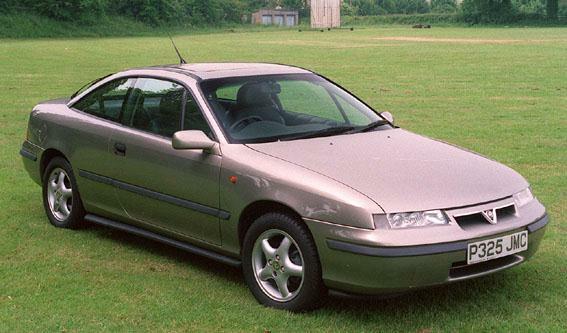 For the home mechanic, the Calibra is a straightforward vehicle to maintain, and most of the items requiring frequent attention are easily accessible.